I know. Someone is saying, "What Coco Cay? Is there such a place?" Yes. It is Royal Caribbean International's private Bahamas island. 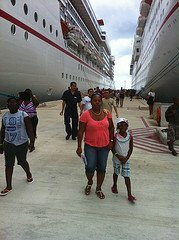 Most of the popular Caribbean cruise lines own a private island resort in the Bahamas or elsewhere in the Caribbean. In addition to CocoCay, Royal Caribbean "owns" Labadee, Haiti. Some other privately owned Bahamas islands are: Castaway Cay - Disney Cruise Line's private island; Great Stirrup Cay - Norwegian Cruise Line's private island; Half Moon Cay - Holland America's private island; and Princess Cay - Princess Cruises' private island. Private Bahamas islands are used primarily by Caribbean cruise lines as a beach stop on 3 day or 4 day Bahamas cruises and on other Caribbean cruises. Coco Cay is used as such - a private beach getaway. 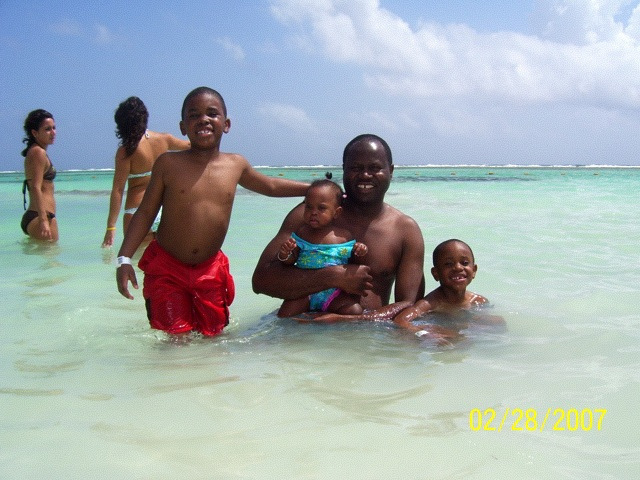 My family's first and only visit to this island was on a 4 day Royal Caribbean cruise to the Bahamas in July 2010. 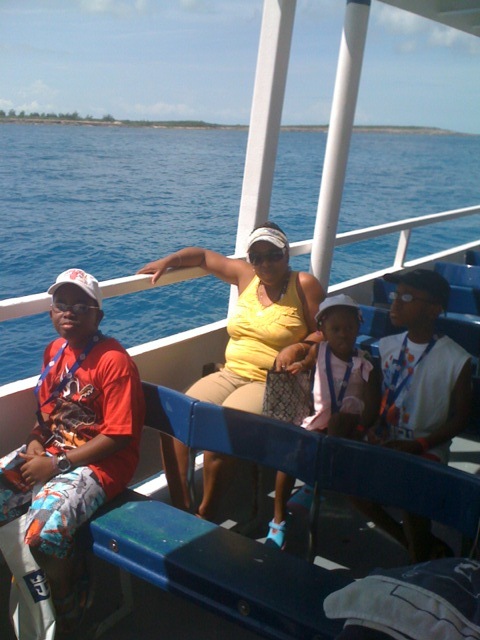 The cruise itinerary included only two stops - CocoCay and Nassau. Our day on the beach turned out to be a beautiful one. Like all the others, Royal Caribbean's private Bahamas island resort is not equipped to anchor a cruise liner near the coast. Consequently, our ship docked out at sea and we rode "tenders" (smaller boats - like ferries) to shore. Note: Coco Cay is being transformed and ships will be able to dock. The first thing that hit me about the island, was how hot it was. Yes, it is the Bahamas and it was summer, so we got hit really hard with the tropical sun. Anyway, I also noticed how beautifully accommodating the island was. There were restrooms, shopping areas, hammocks hanging between trees, a huge barbecue area for lunch and of course the beach. Most people got off the tender and quickly headed to the beach. We spent most our time in the clear, blue water, playing in the sand or hanging out on a hammock. Some people found other interesting things to do. 6. Try the very popular Waverunner - a motorized ride across the waves. Let me hasten to add that amidst all the fun activities, there is a time for food - a well-rounded family barbecue. Lunch included burgers, hot dogs, corns, rolls, salads, rice, barbecue chicken, chicken wings, desserts and more. We were stuffed. After lunch, we went back to more water, hanging out on a beach chair or off to nap. A full stomach and the hot sun combine to put you to sleep. When it was time to head back to the ship, everyone agreed that it was a well-spent day on Royal Caribbean's private Bahamas island. Whatever you choose to do, your family will enjoy their day at Coco Cay. If you are thinking of an all inclusive Caribbean cruise, you will be pleased if Royal Caribbean's private Bahamas island is included as a "port of call".